The Joint Director of Technical Education Department in Palace Grounds has fallen prey to hacking and email fraud. His official email ID was hacked and a number of messages were sent to a number of government employees seeking help. 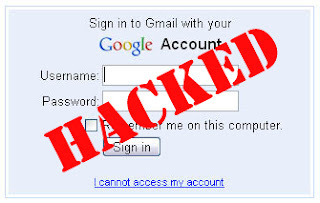 Joint Director R Krishnamurthy said his official email ID created by the government department, jointdirectoredu@yahoo.com, was hacked and the password was changed. "The email ID was used for communicating with students and other government officials on official matters. All the members in the contact list have received a mail saying that I am stranded in Barcelona, Spain, and have lost my wallet and my phone. As I have no money to pay my dues of the hotel, please send 2,500 Euros," says the complaint filed by Krishnamurthy. One of the recipients of the mail, Smitha, who is the technical assistant with the egovernance department, informed Krishnamurthy and a case was registered. Police said a Kirloskar distributor, K Venkatesh, has complained that his email ID was hacked and obscene matters were mailed from his ID. Vidhana Soudha police have taken up the case. A similar incident reported in Commercial Street Police station limits with a citybased software engineer, Niraj Sharma, complaining that his email was hacked and mail seeking financial assistance was sent to his contacts.